Toenail fungus can persist for years without causing pain, but it may lead to permanent nail damage if left untreated. Expert podiatrists Les J. Glubo, DPM, FACFAS, and Mohammad Rimawi, DPM, AACFAS, diagnose and treat toenail fungus at Grand Central Foot Care, conveniently located near Midtown East and Murray Hill in New York City. If you suspect you may have toenail fungus, call or book an appointment online today. Toenail fungus is a common condition that causes your nail to thicken and become discolored, and then eventually crumble. Also called onychomycosis, the fungus that infects your toenails is the same as what causes other fungal foot infections, such as athlete’s foot. Though mild cases of toenail fungus may not cause problems, self-care treatments often cause the fungus to return. Dr. Glubo and Dr. Rimawi offer advanced treatments for toenail fungus at Grand Central Foot Care, including topical medications that aren’t available in pharmacies. Anyone can get toenail fungus, but this condition is more common in older adults. Nails become drier and more brittle with age, resulting in cracks that may allow fungi to enter. Nail fungus thrives in damp, warm conditions. This means that athletes, especially those who spend a lot of time in water, may be more susceptible to getting nail fungus. Walking barefoot in communal areas that foster fungi, such as public pools, showers, and locker rooms, may also increase your risk of getting toenail fungus. How can I tell if I have toenail fungus? Nails that are infected with fungus usually aren’t painful unless the infection is severe. You may have toenail fungus if your nail appears discolored (white, yellow, or brown), or becomes thicker and cracks. Sometimes, toenail fungus occurs at the same time as fungal skin infections, such as athlete’s foot. 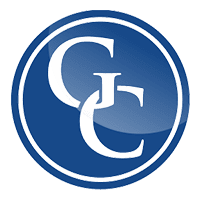 The best way to find out if you have a fungal infection on your foot is to schedule an appointment at Grand Central Foot Care. First, Dr. Glubo or Dr. Rimawi thoroughly examines your foot and reviews your medical history. Then, they develop a personalized treatment plan to conquer your nail fungus. In extreme cases, Dr. Glubo or Dr. Rimawi may recommend surgically removing the infected nail. Toenail fungus is easiest to treat when caught early. 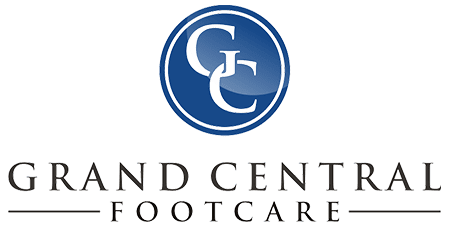 Don’t hesitate to call Grand Central Foot Care or book an appointment online.